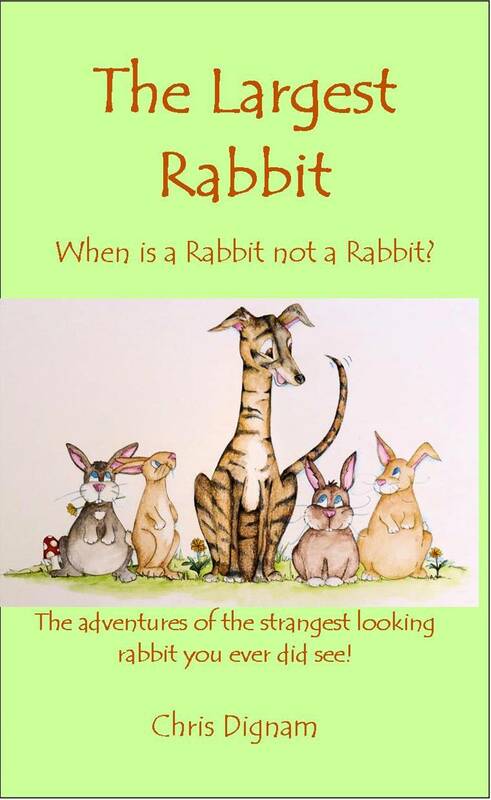 Greyt Expectations 8 – This Weeks South Wales Evening Post Blog – How the Largest Rabbit Escaped into Print! Last week I wrote about how we got our first book to the printers. We pick up the story after the first boxes arrived and we realised we had to sell them to make our money back. We plugged the book on our Facebook pages which helped, and then we went round the bookshops with bundles of books. Bookshops these days are either massive conglomerates or small shops that are often living hand to mouth. One bookshop purchased some copies outright but most would only take them on a sale or return basis. The large conglomerates were not easy to approach as their local outlets all told us to contact their central office or go through their main buyers. The same applied to pet stores where small ones took copies but the large ones had to refer us to head office which proved to be a roadblock. Either way, being a small publisher is hard. We had no money to advertise the books yet we still needed to get our name out there. 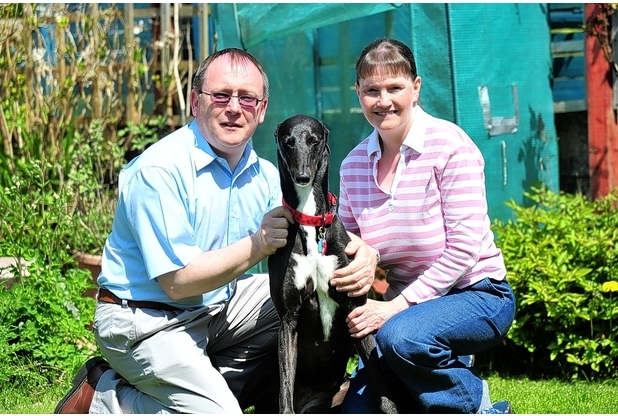 Penny, Armelle and I – Copyright South Wales Evening Post. 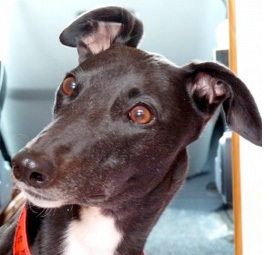 Animal – especially Greyhound – charities were really helpful, especially Greyhound Rescue Wales, who all sell the book and get a donation themselves, so it benefits everyone. As before, the larger animal charities (whose catalogues are managed by external sales and marketing companies, usually the same one) were very polite but nothing panned out that way. As our name got out, more people approached us about the book and so the number of outlets grew. We offered copies as raffle/competition prize, which was again publicity which also helped charities. We were even approached by an Irish dog charity from Donegal for copies. All reasonable requests accepted! The book sold at craft fairs, and at library readings too. Local libraries were keen to have a local author visit but neighbouring local authorities were a dead end. Swansea Libraries even purchased copies for their stock. Gradually the books began to sell as our name and reputation grew. Collecting the money from some of the bookshops proved difficult; one sold them on e-bay then refused to pay us (and never did) and others require a fair bit of prompting. (I must say that Cover to Cover in Oystermouth have been brilliant and an example of how things should be done). Part of the problem is that your books are swallowed up in a sea of other books and without any publicity material or, better still, a book signing/meet and greet your books will be almost invisible. On the way home from work one evening I had an idea for a character and a new book, this time for children. It had a few twists in the plot to keep it fresh, so within a few days I had sketched out the story and began writing it. The Largest Rabbit just flew off the page. I needed a specific character to fill a role and there was a fabulous deerhound called Finn owned by a friend of ours in Ireland who I thought would fit the bill. So, with Kate’s approval, the Mighty Finn went into the book. I also added a heroic comic character called Jeffrey, an ancient marmalade cat who was my favourite and the most fun to write. 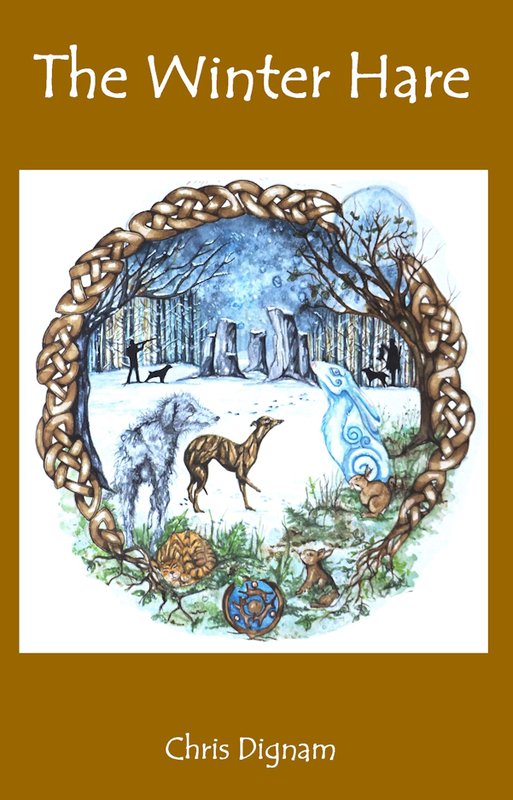 After discussions with my business manager, we stumped up the cash and decided to put the book out again ourselves, under the Crafty Dog Books Cymru label. Once more, Jackie did our illustrations, but extra this time as we needed drawings for inside the book. How did we know that the children it was aimed at would like it? A friend of ours is a deputy head at a primary school so I asked her if some of the guys there would like to read it. Jill replied by asking whether I would like to go and read excerpts at the school. It was a great idea – take Penny, introduce the children to a rescue greyhound, and read some of the book to see what they thought of the characters and the story. We need not have worried, the kids thought it was fabulous and it went down a storm. They were really entranced and it was great to see the way in which they really enjoyed the story and loved the characters. That convinced us that it was worth printing the book, and we could even include some illustrations the children had drawn after the reading. We were even more excited when we collected the boxes of The Largest Rabbit from the printers in Pontypool. Honestly, the books really took off. Facebook interest was great, and many who had ordered the first book ordered the new one too. Kate Clarke did an article about us and The Largest Rabbit in the South Wales Evening Post and the next week someone shared the link with a greyhound rescue site in the U.S.. We suddenly had orders coming in from across the states! For a week things went nuts – we thought the Crafty-Dog-Cymru.Co UK website would melt – but eventually calmed down again. Our Crafty Dog Cymru website and webshop have proved very successful; as have the greyhound charities again – Greyhound Rescue Wales even have Chris Dignam Books as a category on their shop! 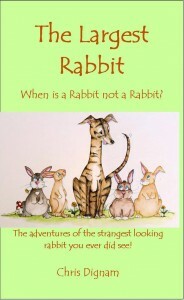 Within 4 months we have even had to begin planning a reprint and the Largest Rabbit has already paid for itself.